Customer said he wanted us to look at a heatshield under the car that he had temporarily resecured. 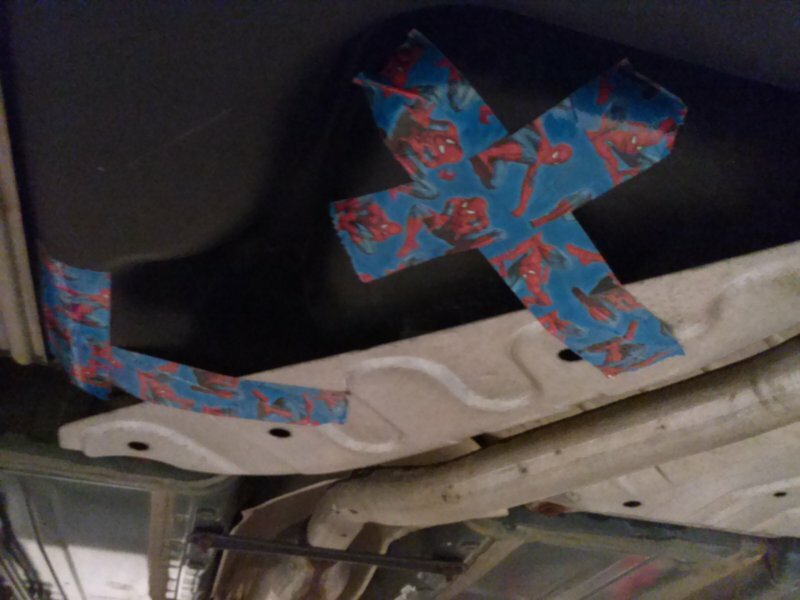 Spiderman duct tape. It actually was holding pretty well, but I removed it because I thought I heard it hitting the exhaust pipe. This entry was posted in In The Shop and tagged DIY. Bookmark the permalink.